Dr. Jim Arnold has attended well over 2000 hours of continuing dental education, having studied with all of the masters in the field of high-end, aesthetic dentistry. In fact, Dr. Arnold spent several years teaching these advanced techniques to dentists all over the country with the prestigious Hornbrook Group and with the Academy of Comprehensive Esthetics. He also served as the Chairman of ACE’s International Fellowship Committee, won the Partner’s in Peace Award with the AACD, and served 500 dentists in his area as Peer Review Chairman for several years. Additionally, Dr. Arnold has travelled to India where he helped train thousands of Indian dentists, and he has served on countless local, state, and national committees representing his colleagues. Most importantly, he has been entrusted to restore the smiles of many of his dental colleagues from around the country. Dr. Jim Arnold owns and operates two high-end, comprehensive dental practices in Valparaiso and Chesterton, IN. 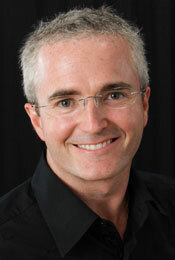 Jim is an outstanding Cosmetic Dentist who is on the cutting edge of technology in everything that he does. I would highly recommend Jim only if you are interested in quality dental treatment. I invite you to check out his practice and experience the difference. These days everyone claims to be an expert. This is especially true in the arena of cosmetic and appearance related dentistry! Every advertisement, whether it be in the Yellow Pages or in a magazine claims that this particular dentist is the local authority on cosmetic dentistry. Unfortunately, this is far from the truth and the public is unknowingly falling prey to those clinicians that are less than qualified to truly provide the quality smile enhancement and restorative dental care they deserve. Most of these clinicians have attended a Friday course, watched a video, or read a dental journal to obtain their status of self-proclaimed “expert”. One clinician that does not fit into this mold is Dr. Jim Arnold. Jim not only has attended thousands of hours in continuing education, including extensive hands-on and live-patient programs, he has been instrumental in the education of countless other clinicians desiring to increase their skill levels with these new procedures. As one of the original founders of the Las Vegas Institute for Advanced Dental Studies, and now the Executive Director of the HornbrookGroup Seminars, I have been very selective in which clinicians achieve the status of “mentor” in these advanced programs. In fact, only 25 clinicians worldwide have obtained this distinction! Not only do these individuals need to possess exceptional clinical skills, they need to posses them at a level that is far beyond the average dentist. Their knowledge and expertise in new materials and techniques, and their ability to share this expertise with others has placed them in the top 1% of our profession. Dr. Jim Arnold is one of these chosen clinicians and although he has guided numerous other clinicians, his primary benefactors are his patients. They are the ones that reap the benefits of his extensive training on a daily basis and I hope that they truly understand how lucky they are. Over the years I have seen plenty of talented cosmetic dentists at continuing education courses. 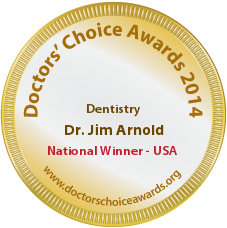 I can say without doubt that Dr. Jim Arnold is one of the most highly trained dentists in the country. Jim actually has a reputation amongst cosmetic dentist as continually dedicated to clinical education and excellence. I admire Jim because he is passionate about his profession in a way that other dentists envy. Jim really represents the best of what dentistry has to offer. I’ve had the pleasure of knowing Dr. Jim Arnold since 2001. We met while taking a continuing education course together here in Chicago, where I now practice. I’ve been heavily involved in CE since 1998 and find that I seem to bump into the same people over and over at these courses. The reason is that there is a very small percentage of dentists who care enough to improve themselves on a regular basis, so we seem to keep running into one another! Dr. Arnold has made an enormous commitment to improving himself and his practice so he can offer the best dental care in Indiana to his patients. He teaches with me at the prestigious HornbrookGroup, a hands-on course where we teach other dentists how to perform smile designs, extreme makeovers and more complex cases. Being involved with this group puts Dr. Arnold in the top 0.1% of dentists worldwide in his level of expertise and training. If I needed dental work done, I would not hesitate to have Dr. Arnold take care of me, even though it would mean an hour drive down from Chicago! Dr. Jim Arnold, more than any dentist that I’ve met in my 10 years of traveling and teaching, has made a serious commitment to practice and patients through his dedication to learning and advancing his understanding and practice of advanced restorative and cosmetic dentistry. It seems like every month I see Jim at a different continuing education course, learning and perfecting the latest and greatest in what dentistry has to offer. I commend Jim for all of the time and effort this takes. Too many dentists are content to be “good”; Jim just won’t stop until he’s one of the very best! I am writing this letter to thank you for your excellent work and professionalism. Please thank your team for me. They were kind and gentle. For the first time in my life, friends and patients are complimenting me on my smile. The difference is truly remarkable. A patient once informed me that the best gift she ever received was a beautiful smile. I agree. Thank you once again for the beautiful smile and all your help. P.S. If any of my patients move to your area, I will strongly recommend you. Dr. Arnold was my mentor during my training in cosmetic dentistry. After taking courses I too wanted to improve my smile. Naturally, I wanted Dr. Arnold to do my case. I loved his attention to detail, positive attitude, and patience. Lets just say the result is fantastic! Thanks Jim. Dr. Jim Arnold is one of the finest clinicians I have known. He has the unique combination of clinical & personal skills that allows him to listen to patient concerns and develop an appropriate treatment plan to handle even the toughest of situations. His aesthetic artistry is second to none and the smiles he recreates are outstanding. In addition to being a great clinician, he is also a devoted father & husband who is involved in his local community and several charities. I’m privileged to know him and call him a friend. Dr. Jim Arnold is a man who I am proud to call a friend and colleague- a man whose dentistry and approach to life is inspiring and helpful. His work in dentistry has been consistently excellent and his motivational management style has been responsible for his significant success at the highest level. Having witnessed, first hand, the fantastic talent of Jim Arnold, I can safely say he is one of the few dentists in the country I would trust for my own dentistry, or that of my family’s. Rarely will you find an individual that possesses such a passion for dentistry, or has so much respect for his patients that he is willing to sacrifice thousands of hours, attaining higher education to better serve his own patients and teach other doctors, all over the country the value of what contemporary dentistry has to offer. I have known Jim for over 10 years as a friend and respected colleague. Jim has insatiable appetite to seek training in advanced education in dentistry, which has afforded him to ability to provide the highest level of care for his patients. He is a great team leader , educator and mentor. His passion for what he does is highly evident as seen with his interaction with his associates and staff. I’ve had the pleasure of knowing Jim for over 20 years now. I’ve admired not only his drive to take his dentistry to the next level and beyond, but his skill as a top notch clinician too. Jim’s thirst for knowledge coupled with his determination to deliver the best care possible to his patients has led him to take hundreds of hours pc continuing education each year. Additionally, Jim’s attention to detail and commitment to his patients is evident from the moment you walk through the door. From the office’s amenities to his supportive team, you’ll immediately feel you are part of their family and forget that you are in a dental office. Dr. Arnold became a mentor to me when I met him thirteen years ago. He is a great leader who has developed remarkable teams in two offices that I have had the sincere pleasure of working for the past nine years. Although , Dr. Arnold and I both graduated dental school together he was always light years ahead of me. He has been my mentor and friend for the last 14 years. He is always taking continuing education or teaching continuing education. He truly has a passion for what he does. His clinical skills are amazing. His ability to connect with the dentist he is teaching is amazing. I am truly greatful to have Dr. Arnold as a mentor. Dr. Arnold was my clinical instructor with the Hornbrook Group, and he was an excellent mentor. After completing the live-patient course, I had Dr. Arnold restore my smile with full-mouth rehabilitation. It was a terrific experience, and I’m thrilled with the results. I can’t recommend Dr. Arnold highly enough as a mentor or as a restorative dentist. I have been fortunate to work for Dr. James Arnold for the past eight years. He has been generous with his knowledge and his time. He spends countless hours furthering his education and technical skills in order to provide exemplary dental care to his patients. 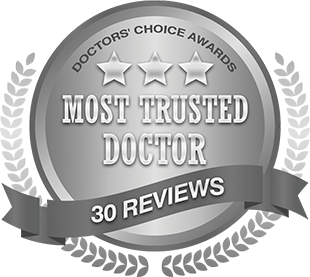 Dr. Arnold has high integrity and has set the standard for excellence in his practice. He truly cares about his patients and his team. Dr. Arnold has been my “go to guy” for eight years whenever I’d had questions about a new product or procedure. He has been exceptionally generous with his knowledge and expertise over the years, and his guidance has been really helpful. He has helped make me a better dentist, and my patients have benefited from our friendship. He has sacrificed countless days and hours of his time to become one of the best clinicians in dentistry. Dr. Arnold is probably the most educated dentist I have ever known. I think that he has attended every single dental continuum there is in an effort to be the best that he can be. He has mentored me and so many other dentists over the years to help us to improve our practices. I am honored to say that he has impacted my practice and life in a very positive manner, and I would happily entrust my personal and family’s dental care to him. It shouldn’t matter that Dr. Jim Arnold has dedicated himself to being the best dentist he can be. It shouldn’t matter that he has taken countless hours of continuing dental education and spent precious time away from his family to learn how to provide the latest techniques and procedures in dentistry for you. It shouldn’t matter that he is so passionate about the dental profession that he has become an opinion leader in such a short time out of dental school and has received numerous awards and recognition from the dental community. It shouldn’t matter that he is a loyal husband, dedicated father and wonderful employer who believes in the importance of family. It shouldn’t matter that he cares so much about you, his patients, that he becomes personally involved in improving and maintaining your teeth and your health for a lifetime. It shouldn’t matter that he is dedicated to his community by being involved in several organizations that benefit the good of all. It shouldn’t matter that Dr. Jim Arnold does any of these things, but isn’t it nice to know that he does! Perhaps the highest compliment we can receive is that from our peers. With that being said, Dr. Jim Arnold is perhaps one of the best our profession has to offer. Why? Because of his dedication to learning AND teaching continuing education, our profession can do no better. FACE accredited dentists are simply exceptional dentists. Jim Arnold is an excellent cosmetic dentist. I highly recommend him. nobody does it better. family man, great guy, great dentist. choose with no reservations. Jim is a top notch dentist with an amazing practice and a professional dental team focused on the best interest of their patients. I’d recommend Dr. Arnold to anyone within a 3 hour drive of his office! Dr. Jim Arnold is one of the brightest and most engaging students of dentistry I have known in my 32 years of practicing dentistry. His energy and dedication to his patients are amazing, and I can vouch for both his personal character and professional integrity! Dr. Arnold and his team (especially Angie) provided a wonderful and relaxed experience. As I am in the medical field, I could see that they were obviously comfortable and confident in their skills. They pay great attention to detail–essential for any cosmetic work. I had needed to have cosmetic work done for many years. I was hesitant as I was unsure as to what type of result could be achieved. Now that the work is done, I ask myself why I did not have it done sooner. My smile (and overall appearance) has been transformed in such a positive way. It is so nice to see that Dr. Arnold and his staff are as excited by my great result as I am. Dr. Arnold represents what all professionals should strive to be. He is a very knowledgeable and extremely competent dentist. I would feel very confident referring anyone to his care.